The story has been told countless times of how a party composed of Percy and Mary Shelley, Lord Byron, Dr. Polidori, and Mary’s stepsister Claire Clairmont met at Lake Geneva in the summer of 1816 and there amused themselves by, among other things, reading ghost stories. When Lord Byron proposed that they each write a ghost story, the results were Mary Shelley’s Frankenstein and John Polidori’s The Vampyre, two of the most important works of Gothic literature. An integral part of this story that usually receives little mention is that the book of ghost stories they read was Fantasmagoriana, in its French edition, which was later translated into English as Tales of the Dead. 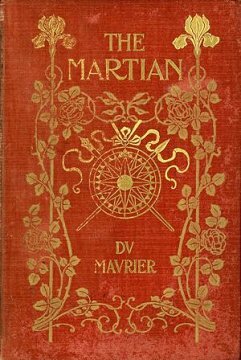 Sometimes sources list one or other title as the book read. The confusion about the book’s title results from its publication history. Although this book had an influence on the group of famous writers, not a lot of attention has been given to it, which made me curious to read it and see what, if any, merits it might contain. I was pleasantly surprised by its quality. 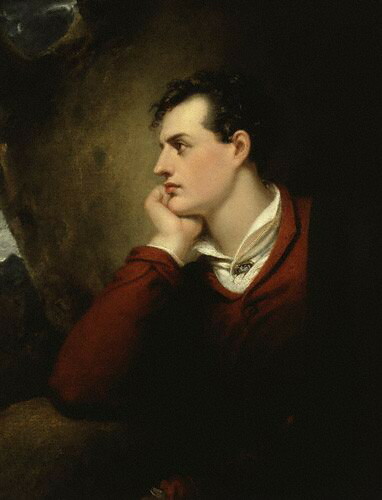 Lord Byron – He first suggested, based on reading “Tales of the Dead” that the party at Lake Geneva each right a ghost story. Byron’s own story was never completed, but Polidori’s story was at first erroneously attributed to him. First, a little about its publication history to clarify some of the confusion about the title. 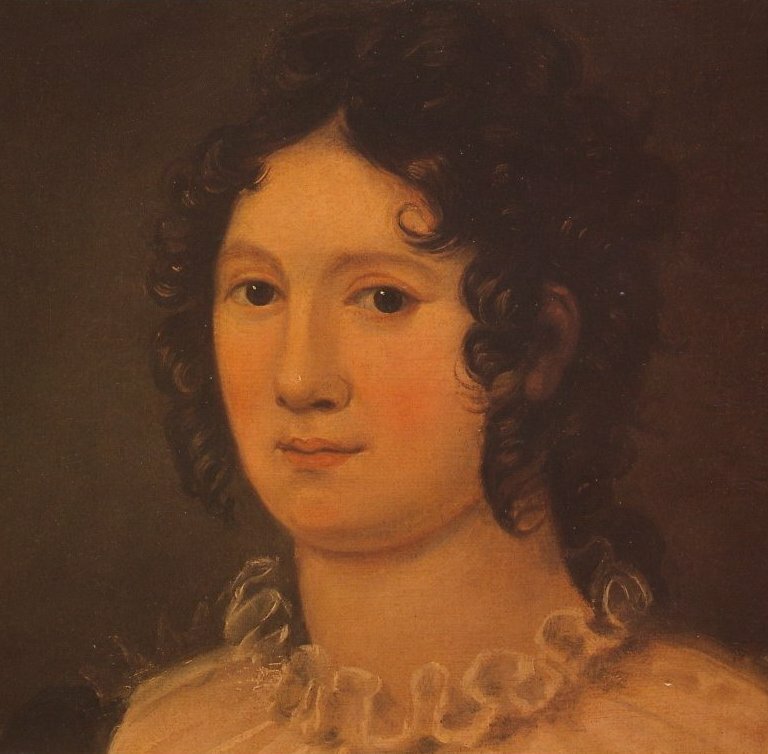 Although it is often said that Shelley and company read a volume of German ghost stories, without stating the title, the compiler of the book, Sarah Elizabeth Utterson, actually translated the majority of the stories in Tales of the Dead from the French collection Fantasmagoriana, which in turn was a collection of various translated German works. 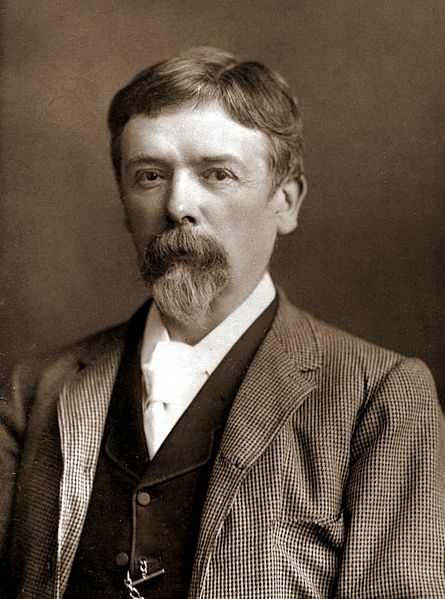 Utterson left out three of the stories from Fantasmagoriana because they “did not appear equally interesting to her.” She also “considerably curtailed” her translation of the story “L’Amour Muet” (“The Spectre-Barber”) because the love story aspect didn’t suit the story collection in her opinion. To the collection, she added a new story, “The Storm,” which she said she had heard from a friend. 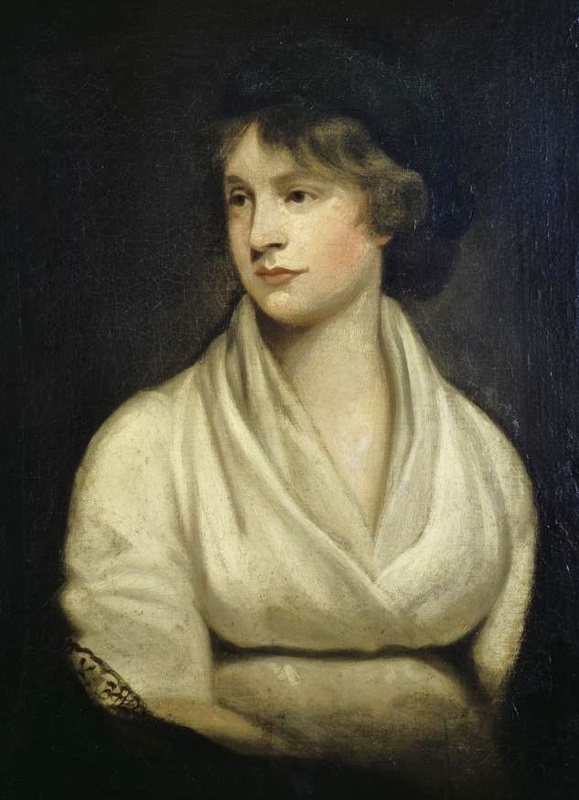 She published the book in 1813, three years prior to the famous Lake Geneva meeting of Shelley and friends. I won’t go into great detail about the differences of the stories and their titles here over the course of the translations. I recommend that people visit the Wikipedia entry on Tales of the Dead for more details. The page is very informative about the publication background, and it looks at this time as if it is intended that it will eventually have full plot summaries for all six of the stories, although only the first story’s plot is currently there, but that summary includes a wonderful family tree of the characters, which readers will find helpful since the relationships are very complicated. 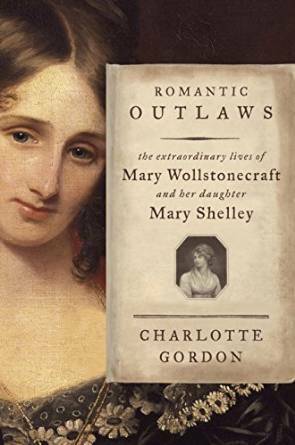 My purpose here is to entice people to read these fabulous stories without giving away the entire plots of them, and to answer the question of whether they are of literary value and did they have any influence on Mary Shelley and Polidori. I do believe they are of literary value, both for their influence on the Shelley party as well as their being extremely readable without a lot of the flowery language common in the period. In fact, I think they are some of the best ghost stories I’ve ever read, far more so than many of the other short stories of this period as well as some of the better known novels, including some of the Northanger novels mentioned by Austen. I have read elsewhere that two of the stories, “The Family Portraits” and “The Death-Bride” were the two stories that most influenced the Shelley-Byron party, and I have to agree with this assessment. I found nothing in the other stories, despite their merits, that seemed to reflect anything in Frankenstein or The Vampyre. That said, I was relieved not to find a great deal of influence because that shows just how phenomenal and imaginative were the writers of Frankenstein and The Vampyre. So what was the influence? In the first story “The Family Portraits,” a group of people gather together to tell ghost stories. That scene no doubt inspired Lord Byron to make his suggestion that the party do the same. In “The Death-Bride” the storyteller is also a gambler, so it’s possible that the gambling influenced Polidori to include the gambling theme in The Vampyre, although gambling occurs in numerous Gothic novels (see my chapter on “Gambling as Gothic Transgression” in my book The Gothic Wanderer) so naming the gambling here as an influence may be a stretch since the gambling in this story is not too prevalent to the tale’s importance and Polidori himself was known to be in debt for gambling at the end of his life. Another interesting point is the piercing look that the storyteller gives one of the listeners, a look reflective of the hypnotic look of the Wandering Jew in literature of this time, notably Matthew Lewis’ The Monk (1795); hypnotic eyes will also become a key element of the vampire figure. 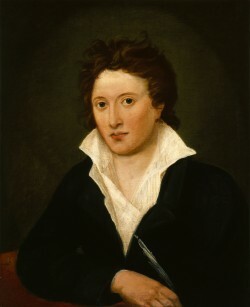 Percy Shelley wrote a ghost story in the summer of 1816 that he later published in a travel book, but he had previously written two short Gothic novels “St. Irvyne, or the Rosicrucian” and “Zastrozzi” while still a teenager. 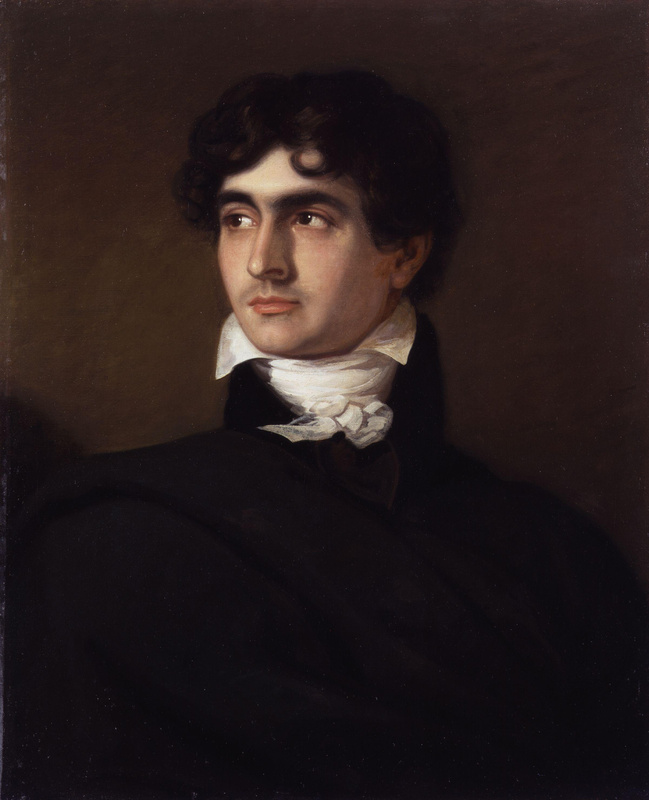 It’s also interesting to note that although Polidori’s story is considered the first treatment of a vampire in English prose (some poems have vampire type characters in them prior to it including Southey’s “Thalaba the Destroyer” and Coleridge’s “Christabel”), in the “Preface to the French Translation” reference is made to vampires, so such creatures were known to an English audience then even though the author is referencing foreign works that mention them. Still Polidori’s story would set the precedent for what would be the typical vampire character in fiction. Also of interest is that in the “Introduction,” it’s stated because of the number of imitators of Mrs. Radcliffe’s books, the interest in Gothic stories had already declined. 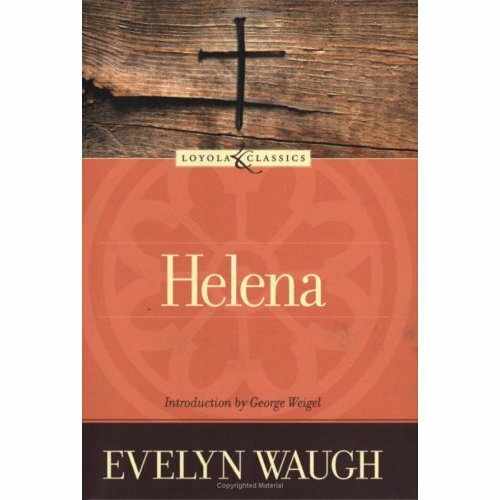 Actually, Gothic novels remained fairly popular until the end of the decade, perhaps partly due to Shelley’s book published in 1818, and the last really notable Gothic novel of this period is Melmoth the Wanderer (1820) by Charles Maturin. The Family Portraits: This story begins with a group of characters telling ghost stories. The main character stumbles upon the group. He is on his way to meet a young lady his mother wishes him to marry, but he has his qualms about doing so. He hears the story of a family portrait that fell and caused a young woman’s death and he tells his own story, both stories being based on people he knew, which leads to him discovering a mystery of complex family relationships and an ancestral ghost. The story reminds me of The Mysteries of Udolpho with its complex family secrets and the discoveries of family relationships unknown to the heroine in that novel. That someone might be killed by a portrait falling on her seems a bit far-fetched, but this story is probably the most complicated in the book and it sets the precedent for family or ancestral ghosts that haunt the characters in several of the stories, a type of haunting that is a common element in Gothic literature. Of course, the curse is finally lifted, but how it comes about is a complex story you will have to read. The Fated Hour: This is one of the strangest stories I have ever read. Florentina is about to be married but believes when she marries she will die. Then she tells her friends about her sister Seraphina, who is now dead, but who while living could at time seem to be in two places at the same time. At one point, she disappeared and came back looking deathlike. She also makes prophecies before she dies that convince the girls’ father that if Florentina ever marries, she will also die. You just know this story isn’t going to turn out well. The Death’s Head: This tale tells of a young man, Calzolaro, who comes to town with a group of rope dancers to contest his father’s will as well as give a performance in the town. The story treats of ventriloquism and it is planned that Calzolaro will use ventriloquism to make it appear that a skull will speak during the performance. A skull is then brought to him after being dug up from the churchyard, but Calzolaro is not aware of whose skull it is, which leads to a surprising result. It’s enough to say here that again a dead family member is the cause of a haunting. The Death-Bride: Here, as in “The Family Portraits,” we have a story within a story, the frame being that of the Marquis who likes to gamble. He tells to his friends a story he heard about two twin sisters and how one died. Later the deceased sister is seen in Paris and mistaken for the living sister, but the living sister protests she’s never been to Paris. Once again, a family member is the ghost haunting the family, although the story gets more complicated from that point, and the Marquis also has the purpose in telling his tale of drawing out the guilt of one of his listeners who recognizes the story concerns himself. I won’t give away the ending, but the buildup results in a let-down and I think this added story ends up being the weakest in the collection. Emily ends up fainting when she sees the horror which reminds me of Emily St. Aubert fainting when she sees what is behind the veil in the Castle of Udolpho. The Spectre-Barber: This tale is the one with the edited love story, and in truth, the love story is barely there now. A young man, Francis, inherits his wealthy father’s fortune, but he quickly spends it all and goes into debt. He then has to try to make his fortune in the world, inspired by a young woman named Meta with whom he falls in love. The story wanders about a great deal but it has its suspenseful moments such as when Francis is traveling and must seek shelter for the night. A peasant refuses to let him stay at his home but tells him to go to a nearby castle for shelter, but with the warning that the owner always flagellates all he entertains. 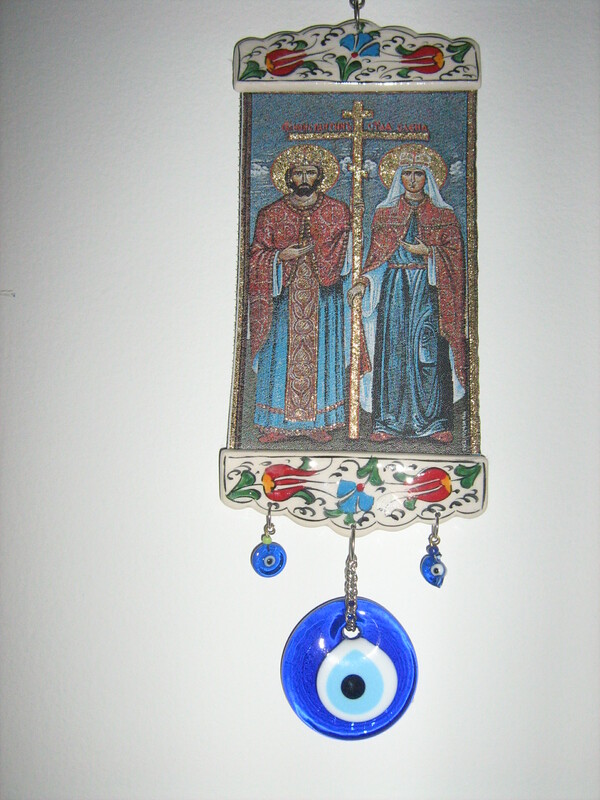 I couldn’t wait to see the flagellation happen, but I ended up being disappointed. This story ends up being entertaining but the plotting is not as tight or satisfactory as the earlier stories in the work. I also have to admit I find a ghost who is a barber rather comical. I hope by now you’re enticed to read Tales of the Dead for yourself. Imagine it being read aloud by Lord Byron or Mary Shelley on a dark and gloomy summer night near Lake Geneva in 1816. Who knows? Perhaps it will inspire you to write the next great Gothic novel. 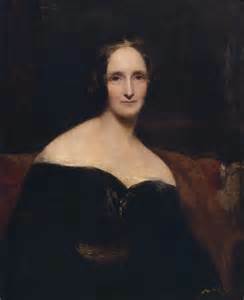 Mary Shelley’s “Frankenstein” would be the greatest novel that resulted from the ghost storytelling in the summer of 1816. She would go on to write another six novels. So where do you find a copy today of this two-hundred-year-old collection? At Amazon, you can buy Fantasmagoriana: Tales of the Dead edited by A.J. Day, but this is not the Tales of the Dead that Shelley and company read. This is Fantasmagoriana, the source for Tales of the Dead, translated into English without the added “The Storm” story and with the three stories that Utterson did not find interesting enough to retain. I don’t believe you can purchase Tales of the Dead anywhere currently, but it is available online at http://archive.org/details/talesofdead00utte where you can actually view a copy of the original 1813 edition page-by-page as well as read it online or download it. Enjoy!